"I started turning in the early 80s on a small Macmillan lathe with a 300mm-diameter swing-over bed which I used for about 12 years. On it I turned small bowls, mushroom sets, weed pots, candle sticks and the like which were given to friends and family as gifts. 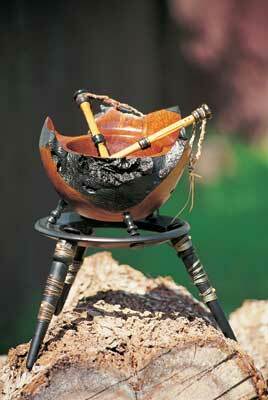 "I now use a lathe which was designed by me with the help of my father-in-law who put it together in my workshop. "I have had no formal training or lessons and am mainly self taught - by reading books and watching people turn. I took up turning as a hobby but it has become a passion while still remaining a hobby, as I only sell to the public and through two galleries in Sydney - Gannon House Gallery and Pitt Street Gallery. "I like to turn green timber and am also into hollow-turning artistic pieces based on ancient cultures, furniture and toy making. 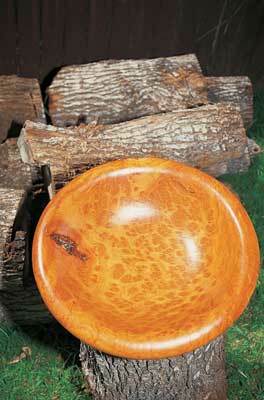 "I prefer to use Australian timbers such as coolibah red gum, tallow wood, brindle box, yellow box and what other burl I can get. 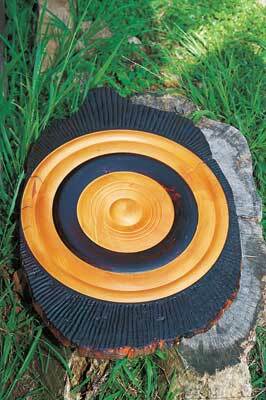 "Pieces range from 100mm (4in) diameter by 100mm (4in) depth to 900mm (35 1/2in) diameter to 700mm (28in) depth. My work is tactile and uses such techniques as sandblasting, wire brushing, ebonising and carving to achieve a balance between the smooth interior and the rough exterior of any given piece. 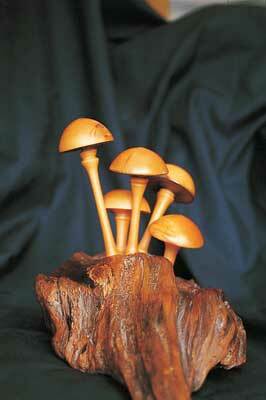 I want people to touch it, so I strive to bring out the colour and beauty in the timbers I use. 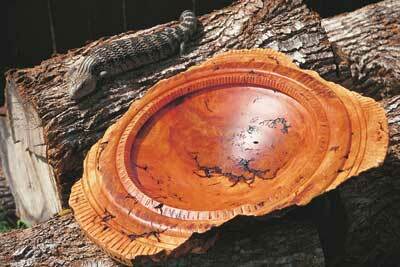 That is why I use burls - because of the colours they produce." 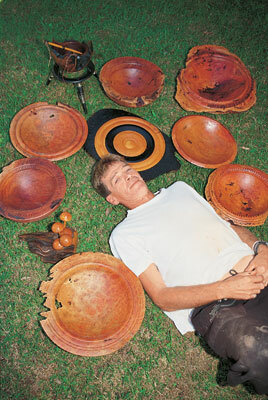 "I admire the early work of Mike Scott, around the 80s, and the way he was able to use different techniques to enhance his burl work. 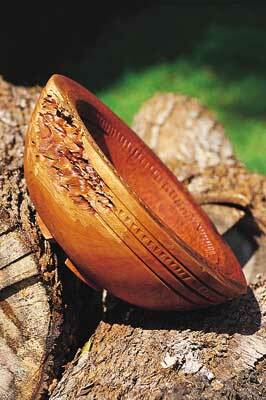 He was not afraid to experiment and was not held within the guidelines of traditional woodturning. "I also look to the work of Mark Lindquist. 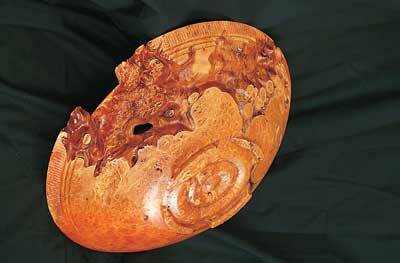 This demonstrates his ability to interpret nature, his philosophies and approaches to woodturning. "Also Ted Watt who showed me that defects in timber can be used to your advantage when designing or making a piece, and not to be scared to experiment or step outside the realm of the purists. I'm not saying that they are wrong but I do believe it is not the only way. "As for aspirations, I wish to be able to enjoy what I do for years to come and to make pieces that will be handed down from generation to generation as art works that are collected for their beauty and function." "I wish to be able to enjoy what I do for years to come and to make pieces that will be handed down from generation to generation"